If you are a single traveller, or perhaps want to cruise with family or friends and would simply like a cabin to yourself, then our new ‘No Single Supplement’ offer aboard will certainly appeal. For the remainder of 2017, we are waiving the single supplement on most of our hotel barges*. 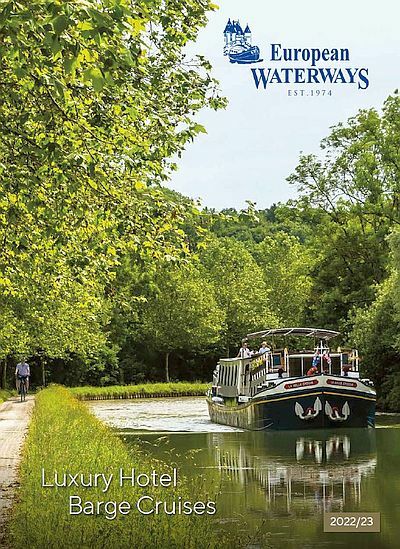 There are plenty of destinations to choose from – in France you may choose Burgundy with its vineyards and gastronomic traditions, or the sun-drenched Canal du Midi that meanders past medieval towns steeped in history. Alternatively, perhaps you like the idea of a cruise on the Caledonian Canal and lochs in the Scottish Highlands, or an Italian voyage of discovery through the Po Valley between Venice and the Renaissance city of Mantua? Wherever you choose, you can be sure that the relaxing ‘floating house party’ atmosphere on a hotel barge is ideally suited to single travellers as there are none of the taboos that may surround other holidays. The atmosphere is warm and welcoming and there is no stigma of the ‘singles table’ as all our barge guests dine together at the same table, exchanging banter and stories, while being served gourmet food and fine wines by a doting crew. The daily escorted excursions are also a real pleasure as you set off to explore chateaux, markets and other fascinating ‘off the beaten track’ places together. “One of the best parts of hotel barge cruising has been meeting so many fellow travellers. I have enjoyed sojourns on deck, gourmet meals and fine wines with my fellow passengers, visits to chateaux, markets, cathedrals and lots more”. *The above offer is available on selected dates on the following hotel barges: Anjodi, L’Art de Vivre, Athos, Enchante, Finesse, L’Impressionniste, La Bella Vita, Nymphea, Panache, Renaissance, Rosa & Spirit of Scotland. Please note this offer cannot be combined with any other offers nor applied to existing bookings. It is subject to availability and may be withdrawn before the end of the season.